When you start your blog will find out there are many business routes, you can go. Ultimately the first one is to be successful and grow your business. Maintaining a blog on a daily basis doesn’t have to be stressful once you understand the secrets. It’s also widely known that the competition is stiff and everywhere. The idea is to stand out, create fresh content and engage with your readers. 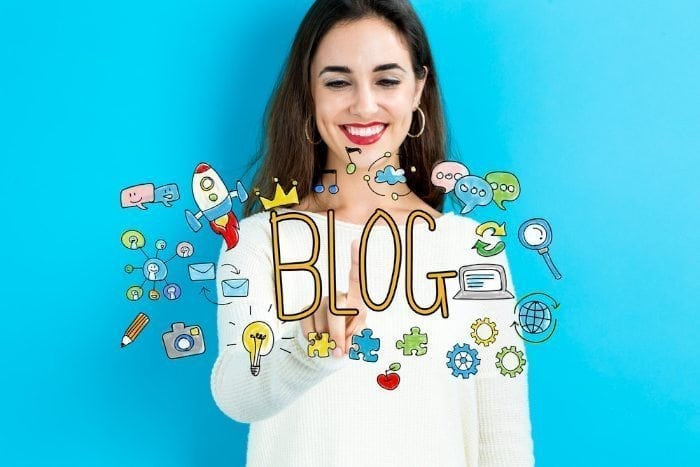 Depending on what platform you use, you can substantially increase your traffic and soon find yourself maintaining a successful blog over the years. There are various steps to pay attention to when it comes to growth hacking a blog and being successful. The concept is to focus on technology and marketing. It’s not to be confused with sending repeated messages to your Facebook buddies and clogging up their email. It’s a way of understanding your users and how they relate to your products when they buy them. To retain more customers, you can create features around their needs which will cut back on spending on marketing. Examples of growth hacking can be found in such businesses such as Airbnb, LinkedIn and Facebook. Facebook was known for launching their services at individual colleges where they ended up having 20% of the market when it came to students. What most bloggers need to learn is how to increase the traffic to their site. You will quickly learn that many big companies such as BuzzFeed, and even Viralnova have grown their traffic quite fast. Once you understand how being innovative, you can begin to gain a fast audience to your blog. It also doesn’t hurt to experiment with different types of technology that will ultimately leverage your time and your reach. Doing this over time can only allow you to continue with growth hacks and bring you big traffic. So the important lesson here is getting your hands on the technology not just using your time only on marketing. With so much tough competition it pays to be extremely innovative. Real innovation comes around only once so often. There are times you may find different brands simply repeating what the other is doing. Sometimes it pays to look outside the box. Find out what’s going on outside of your industry and business category. Successful blog sites have made it a point to find new ways to bring traffic to their sites. Many have maximized crafty headlines, increased their social shares and used their web technology to their advantage. Most bloggers want to get a lot of traffic and have a relatively high-quality list of posts. You want to create posts that stand out from the millions of others who are posting and publishing daily. Take the time to figure out a strategy that is different from traditional blogs. These should encourage something actionable such as case studies or other examples many are doing to make things work. This can liven up your blog overall and bring traffic to your site sometimes just from the image alone. Consider putting in various stock images, screenshots and graphs to communicate your message in your posts. You should also compliment images with some brief text as well. This should be in your mind the whole time when crafting your content and later be publishing it. Make it useful to the reader and something they can act on. Consider hitting the pain points of your target audience. Research on what they need, what they are searching for and then create the content accordingly. Suppose if your business provides home insurance service then you should consider creating a blog explaining what is home insurance and what are the key features it covers as this would bring relevant traffic through your posts. If you’re starting to get overwhelmed with your number of posts, consider hiring a skilled editor that can soften the load. It never hurts to have an extra set of eyes on your material. This way you avoid errors which can ultimately hurt your reputation as a legitimate blog. Once you can master some of these steps you will find your blog will be a great growth hack bringing you new customers fairly fast. The goal is to focus on providing good quality content so readers remain engaged and return to your site over a period of time. Understand what skills are needed in order for your blog to be successful and carry out your strategies. Some of the biggest companies have figured out relatively innovative ways that have made their blogs a true success. Growth hacking is all about using the technology available to you and not spending all of your time on marketing. Once you can effectively implement these steps, you should find that your blog is starting to grow with traffic and your user base is becoming more interactive with your blog.